Singapore this week looks the same but something feels different. amid the flood of sadness, there is a profound mood in everyone. 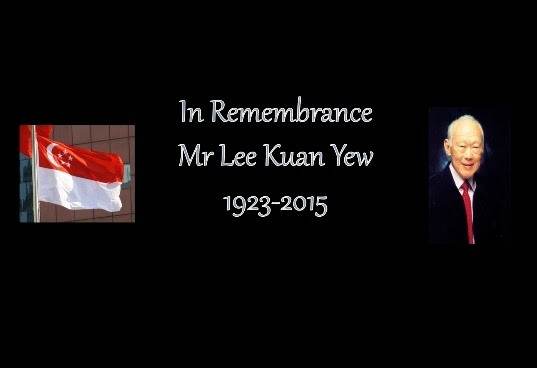 Echoes of gratitude for the late Mr Lee Kuan Yew. Grateful for the way he fought for the country. Grateful for the care he showed during calamities, fires, and tragedies. Grateful for the leadership he demonstrated through the years. Grateful for the opportunities he provided for families both near and far. Grateful for the love he shared with his family and citizens of the country. Grateful for the passion and patriotic spirit in him for Singapore. Grateful for the years of wisdom and tough decisions made for the greater good. Grateful for the prosperity and economic miracle he has helped to create. During such tender moments, tears speak louder than words. Emotions leaked ceaselessly from people all over the island, even the world. It is not a time to be shy. It is simply a time to be appreciative. Since March 23rd, it has brought people out in numbers. It has evoked global tributes and responses. It has unleashed emotions at memorial centers all over the island. It has also squeezed out poetry from people who don't usually write prose. That speaks volumes about one death. There are no words that can describe how many people feel. Amid the tide of sadness and gloom, I see hope. That what one man had started will continue to grow. How one man can do so much and inspire others to do more. There are many reasons to celebrate the past achievements. There are more reasons to celebrate the spirit of nation building already seeded in many. I see the wonderful solidarity among people of different races, religions, and cultures. I see a nation weeping together and mourning as one people. I know my late father would have cried. 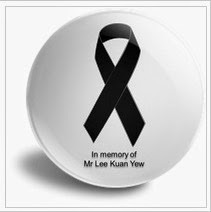 He had been a long-time admirer of Mr Lee. No words can describe how most people feel today. Only tears. Some would call him "Founder of Singapore." Others would affectionately address him as "Ah Kong." Still many would readily say he's the "Father of modern Singapore." Let us this week just put them all aside. Let us simply remember the good that he had done. Let us also remember that nobody is perfect. Like all humans, we all have our flaws. For the critics, remember that we all too have our imperfections. For the admirers, remember too that he is human, like us. Who had given his best to Singapore. This is the legacy he has left for us. May we all learn humbly from him, what it means to live, to love, and to leave a legacy. For our children, our children's children, and beyond. which is "light and bright." 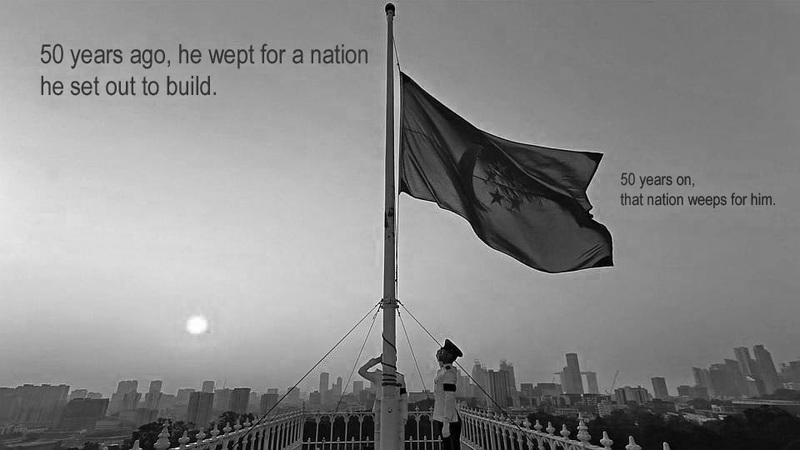 This Sunday, I am ready to weep with the nation of Singapore. Mourning is a universal expression of sadness and appreciation. The Bible says, mourn with those who mourn. Be comforted, people of Singapore. We will cry. We will weep. We will remember. Mr Lee, sir, I salute you.